A photograph showing the Crosby Brothers department store's office staff. 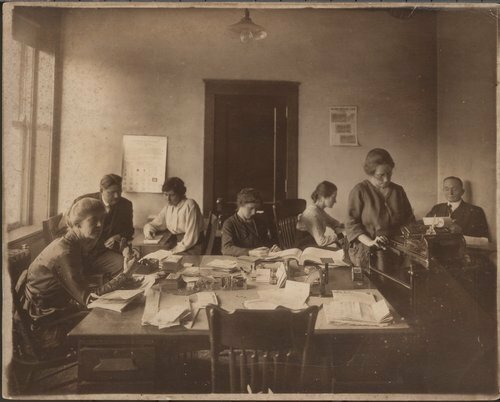 Mr. Crosby is seated at the far right and Fannie Barnes is at the adding machine. Crosby Brothers department store was located in the 700 block of Kansas Avenue, Topeka, Kansas.